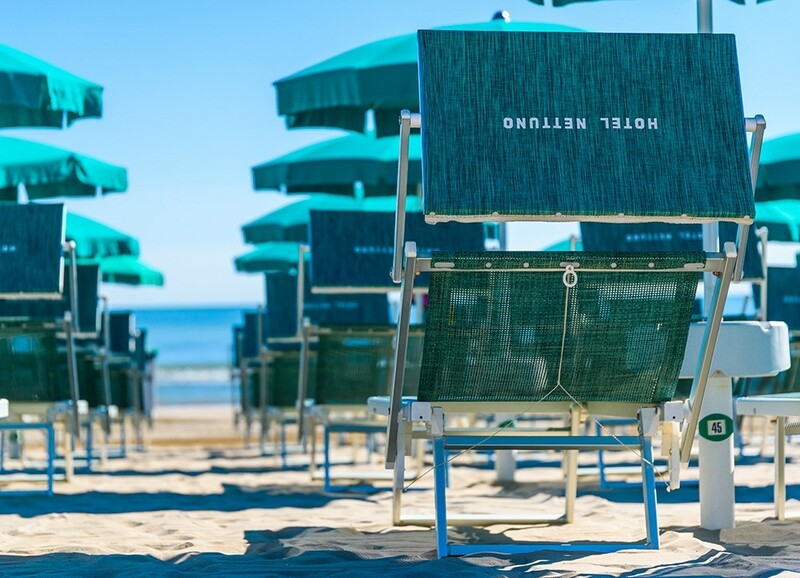 Why is the beach of Senigallia is famous all over the world as the “velvet beach”? 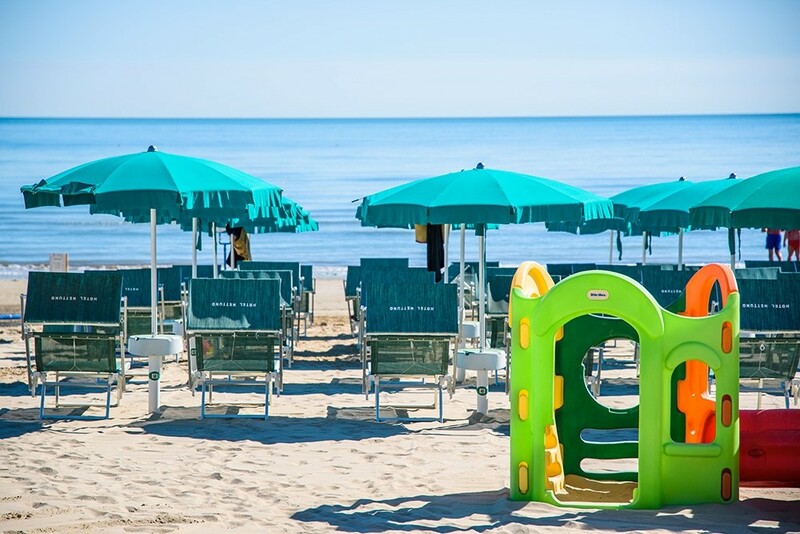 Simple: for the fine golden sand envelops you and accompanies you to a clean sea and swimming. The thirteen miles of coast every year and, in fact, rewarded with the prestigious award “Blue Flag”. This means the efficiency of the services, security checks and, of course, clear and clean sea! 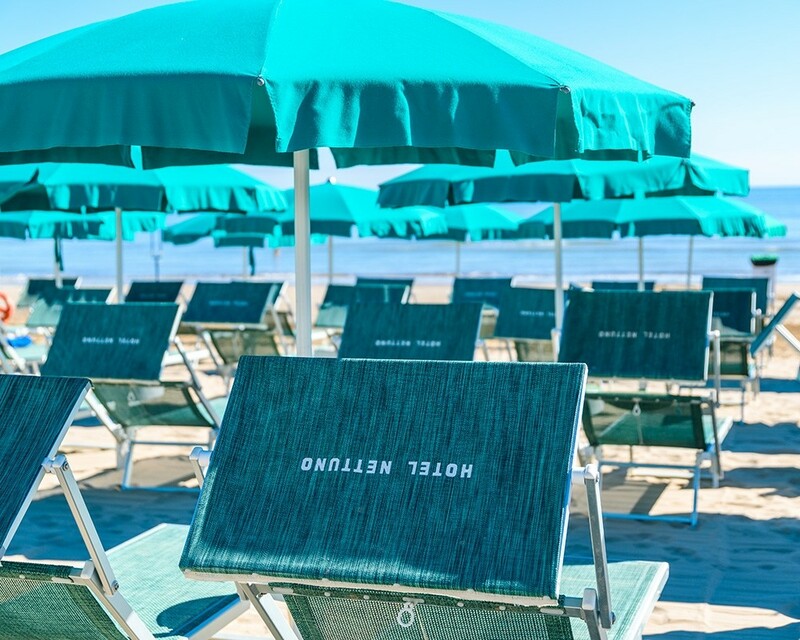 The cost of the private beach for our customers is of 15 € per day for beach umbrella and two chairs in the first two rows. 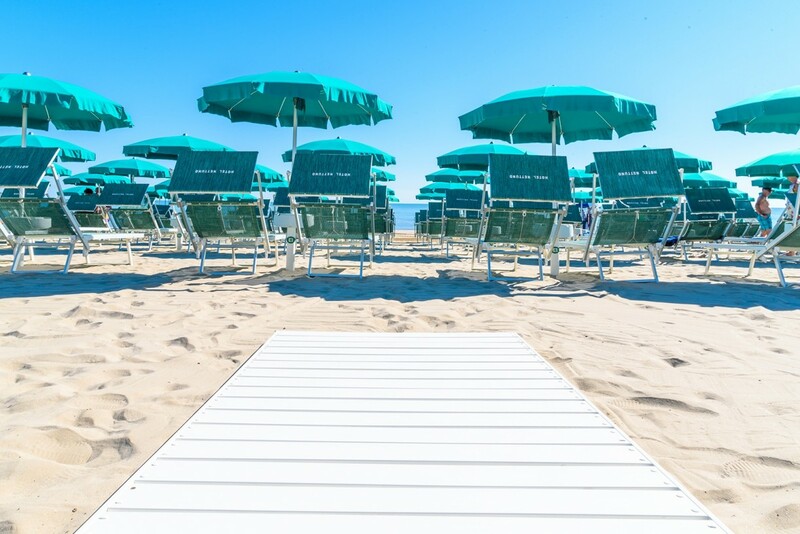 For the rest of this file, the cost for a beach umbrella and two sun loungers is € 10 per day. 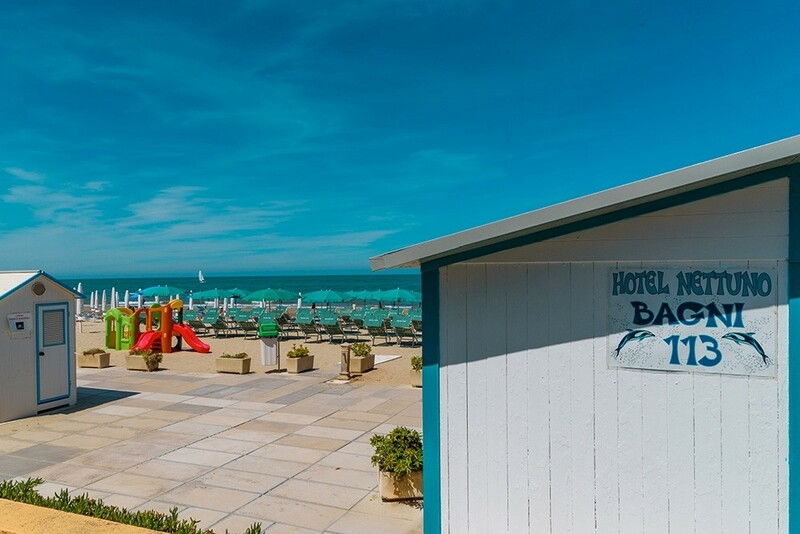 Only in the offers and promotions weeks special the beach is included in the full board, and includes a beach umbrella and two sunbeds per room per day. 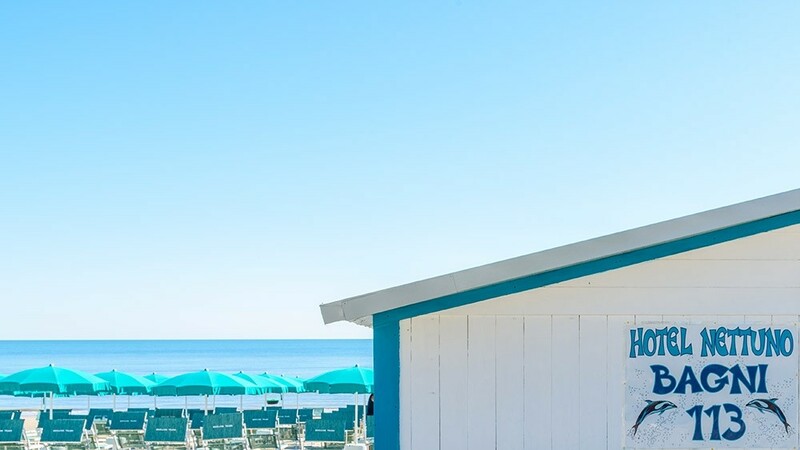 There are not many hotels that have private beach: the hotel Nettuno, instead, we are happy to put at your disposal, just forty metres from the hotel, a private beach equipped with every comfort, for the exclusive use of our beloved customers. 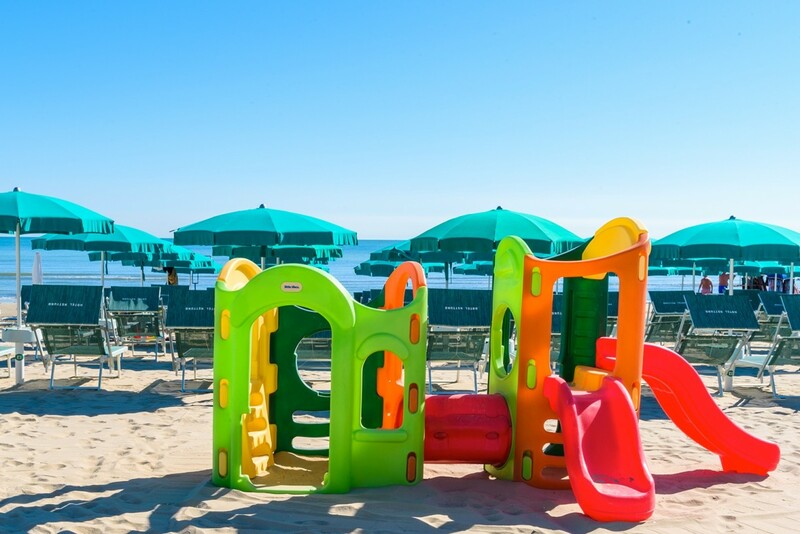 Parasols, emerald green, changing cabins, children's corner, service and deck chairs fretwork are waiting for you! 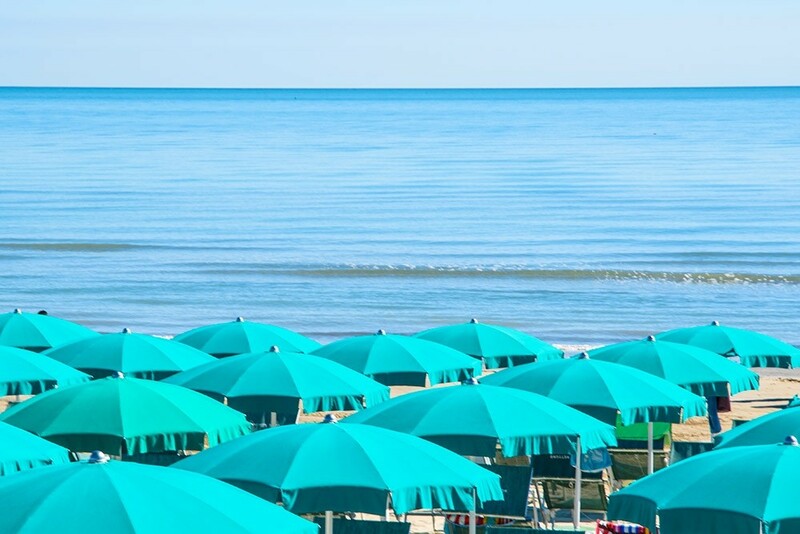 Your comfort is the most important thing in the hotel as on the beach!